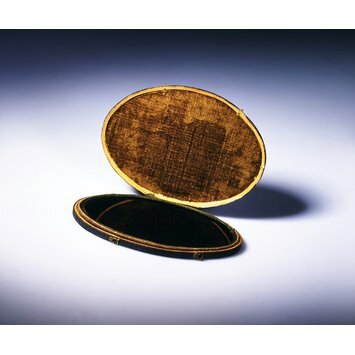 A Claude Glass - essentially a small, treated mirror contained in a box - is a portable drawing and painting aid that was widely used in the later 18th century by amateur artists on sketching tours. The reflections in it of surrounding scenery were supposed to resemble some of the characteristics of Italian landscapes by the famous 17th-century painter and sketcher Claude Lorrain, hence the name. 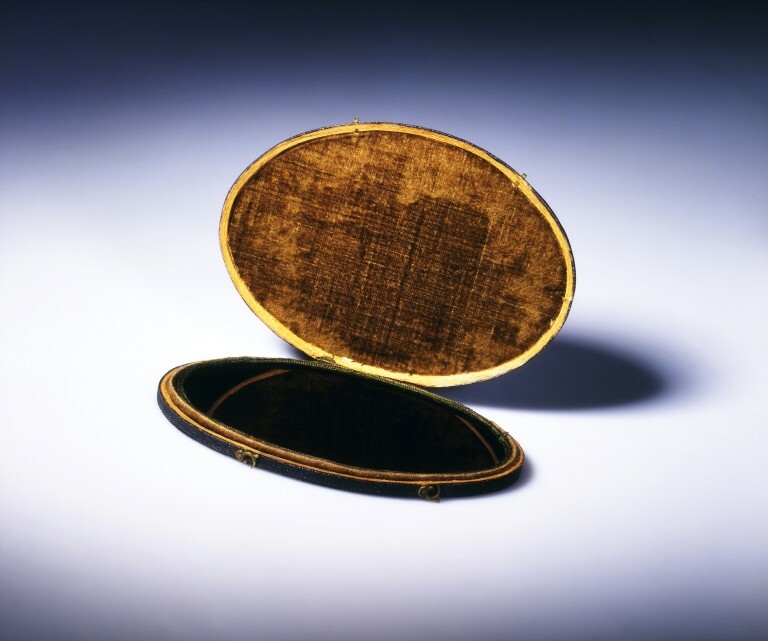 The `glass' consists of a slightly convex blackened mirror, which was carried in the hand and held up to the eye. The image thus seen was the scenery behind - rather than in front of - the user. The mirror's convexity reduced extensive views to the dimensions of a small drawing. The use of a blackened rather than an ordinary silvered mirror resulted in a somewhat weakened reflection, which stressed the prominent features in the landscape at the expense of detail. It also lowered the colour key. A larger version of this device is said on occasion to have been fixed to the windows of horse-drawn carriages in order to reflect the passing scenery. Height: 21 cm open, approx., Width: 14 cm approx. A slightly convex, blackened mirror, known as Claude glass. 1775-1780.